Xilisoft Video Converter for Mac offers numerous ways to customize your files: clip, split and merge videos, crop video image, add watermarks, soundtracks and artistic effects, etc. Convert between video files (including AVI, MPEG, WMV, DivX, MP4, H.264/ AVC, H.265/HEVC, MOV, XviD, 3GP, FLV); convert between audio files (including MP2, MP3, WMA, OGG, AAC, M4A, WAV, AC3); extract audio from video files. Support HD video encoding and decoding; convert AVCHD, MKV, H.264/ AVC, H.265/HEVC and other HD videos to PS3, Apple TV and Xbox360 compatible HD videos. 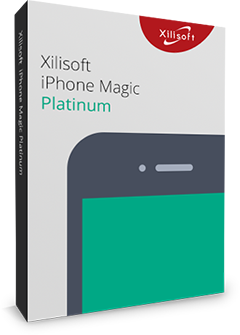 Xilisoft Video Converter for Mac outputs video formats for iPad, iPhone, iPod, PSP, Zune, mobile phones and so on. Join multiple pictures or video clips together; introduce stunning transitional effects when switching from one scene to another. Clip the required segments from your video, either output them separately or merge and output them as a single video. Automatically split a large file into several ones during conversion by custom split size or duration. Get rid of black borders, commercial logos, or anything else you don’t fancy from the video image frame. Adjust video brightness, saturation and contrast; add different artistic effects such as "Old Film", "Canvas", "Negative" to make your video look special. Introduce copyright to your video and label it with text/picture watermarks. Xilisoft Video Converter for Mac enables you to add soundtrack to videos with ease. Save time by converting a file into different formats simultaneously with just one click. 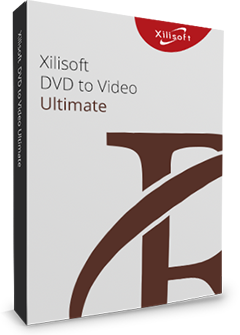 Xilisoft Video Converter for Mac comes with optimized conversion profiles classified by device type for all popular multimedia devices. Convert source file to the required sized with the aid of the built-in Bitrate Calculator. Transfer converted files to devices such as iPod/iPhone/PSP or iTunes directly. Adjust a range of output parameters; parameters are classified by categories for easier adjustment. Supports multithreading and batch conversion; convert multiple files on Mac at super high speed. Set a capture interval and extract pictures from a video in batches. Preview source file, clipped segments and edited videos; compare the edited video with the source abreast in real-time. 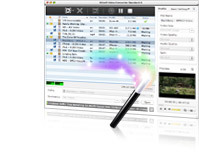 Multi-skin and multilingual interface provided in this Mac video converter.